My son loves cars and I know there will be several race car parties and play dates in our future! It’s never too early to start gathering party inspiration, right? 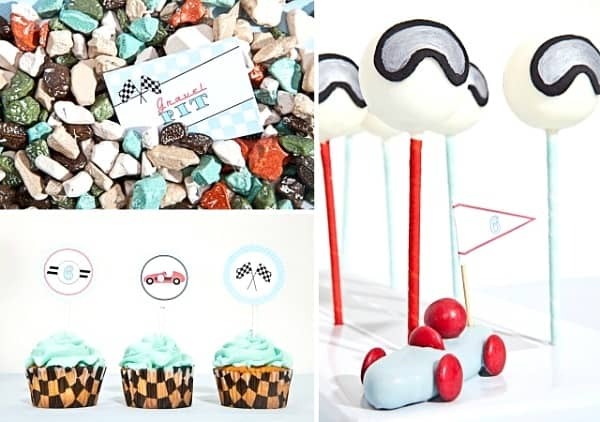 I’ve gathered a fun collection of Racing Party ideas from other talented party designers and bloggers. To view the full party for any shown below, simply click on the titles of the party and they’ll open in new windows for you. 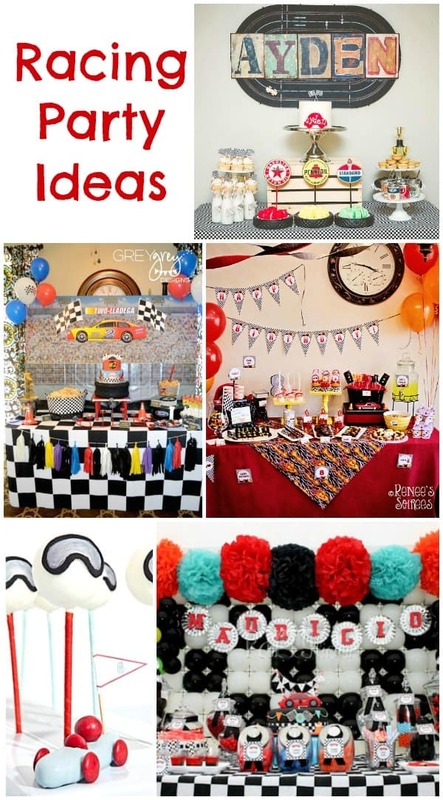 You can also check out our Racing Party Ideas board on Pinterest. 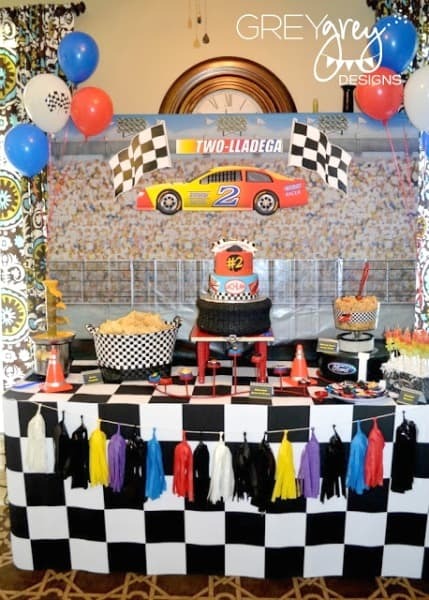 This Racing Birthday (pictured above) by GreyGrey Designs is a little boy’s dream! There are so many awesome ideas in this party so I had a hard time choosing just one photo to showcase here. Be sure to check out the entrance way to the party as well – it’s totally awesome! 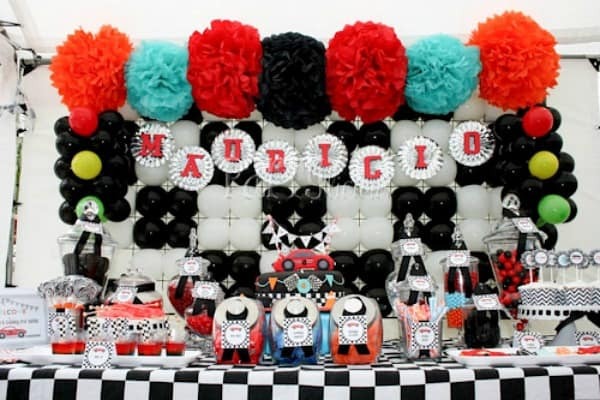 This Race Car Birthday Party featured on PopSugar has so many fun details! I love the vintage wraps on the cans, the entrance way welcome sign is so clever and the license plates used as food labels. Check out the awesome backdrop in the Race Car Party featured on A Blissful Nest. Amazing! 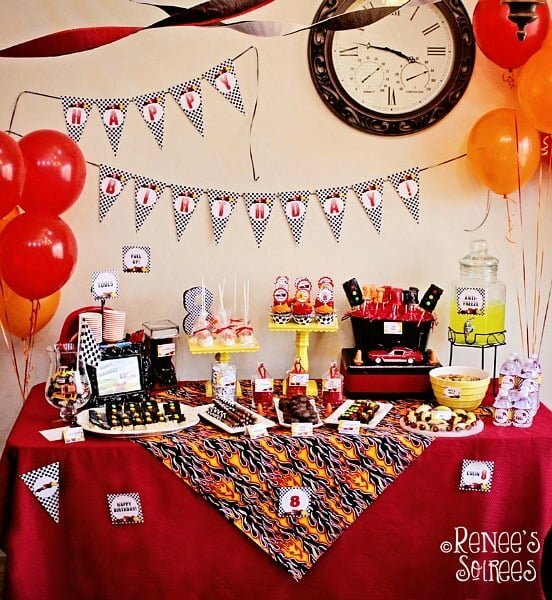 This Race Car Party by Renee’s Soirees is filled with creative ideas for party food. I love the stop light brownies. 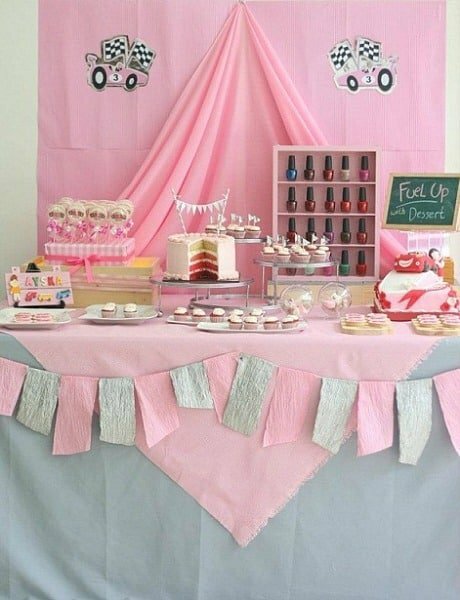 Racing parties aren’t just for boys – check out this adorable Pink Race Car Party featured on Catch My Party. It’s a race car party filled with pretty accents perfect for the female race fans. 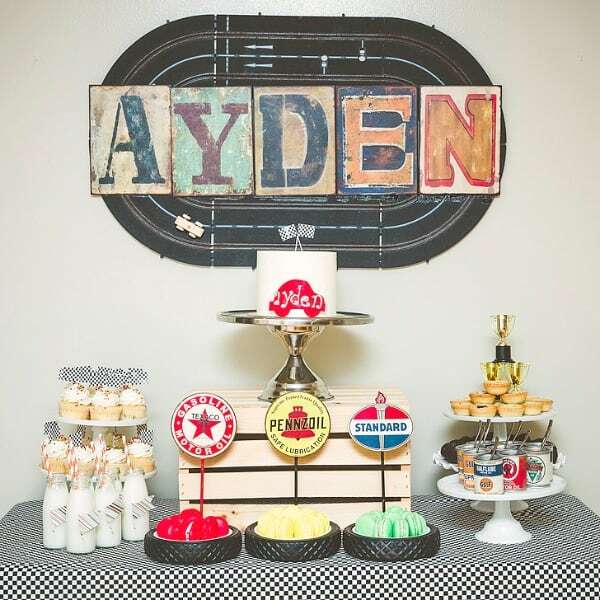 Check out this Vintage Race Car Birthday Party featured on Anders Ruff. I absolutely love the ideas of the frames in the photo booth area. This Vintage Racing Birthday styled and designed by Anders Ruff and Kiss With Style has the cutest helmet cake pops! I love the chocolate victory champagne bottles. 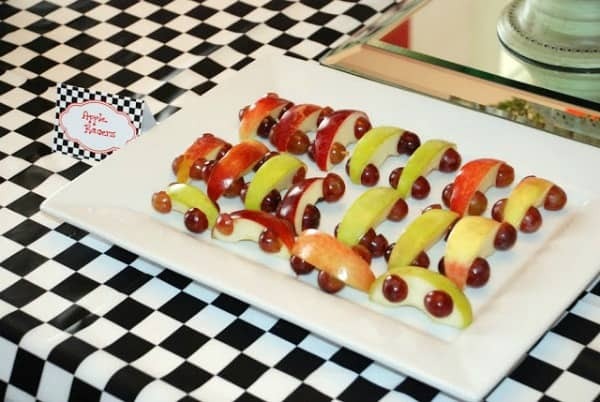 These Apple Racers on Mirabelle Creations are such a fun & healthy snack for a racing-themed party. 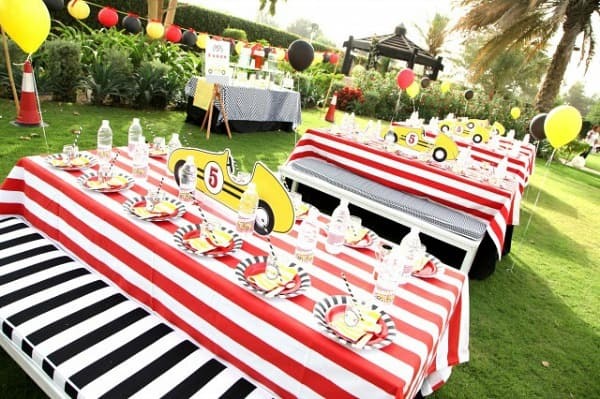 For even more racing party ideas, visit our special Racing category.